Gratitude journal-style iOS app that allows users to create moments using native image and text editors. iPhone and iPad compatible. With the advent of hugely-popular photo-sharing platforms like Instagram and Snapchat, as well as cultural photo-sharing trends such as #100happydays, it’s more important than ever to incorporate visual and social features into apps. There is clearly a gap in the App Store for a well-designed, modern, social, and visually- oriented gratitude journal app. 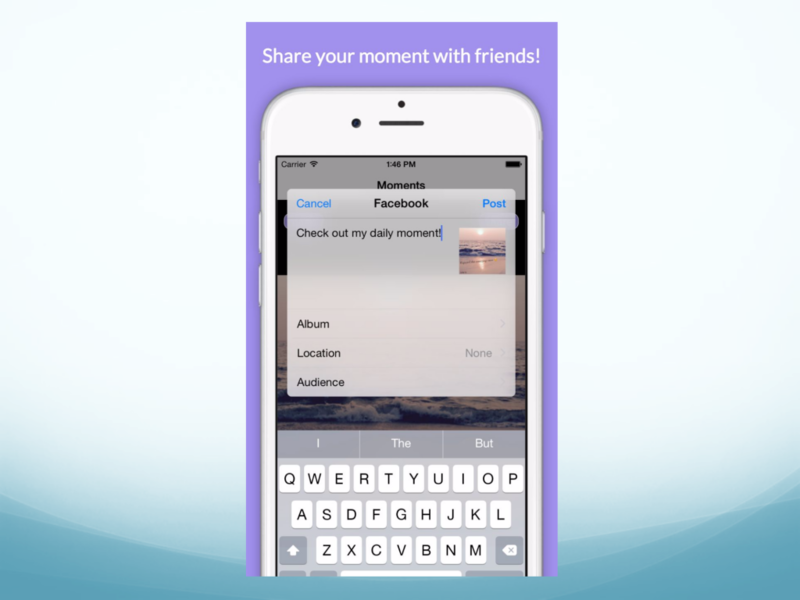 Moments prompts users to record every day something they are grateful for. 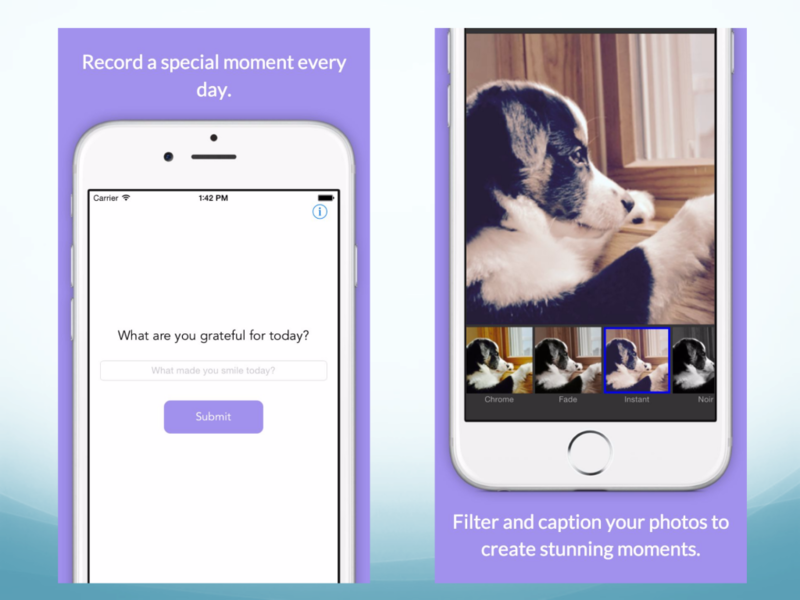 On the home view, users are prompted with the question, “What are you grateful for today?” After entering their text, they are prompted to choose a photo from their photo gallery. In the next two views, users are then given the option to crop and filter their photo, as well as add their previously-entered text in a stylized manner to the photo, and apply a variety of different fonts and colors. 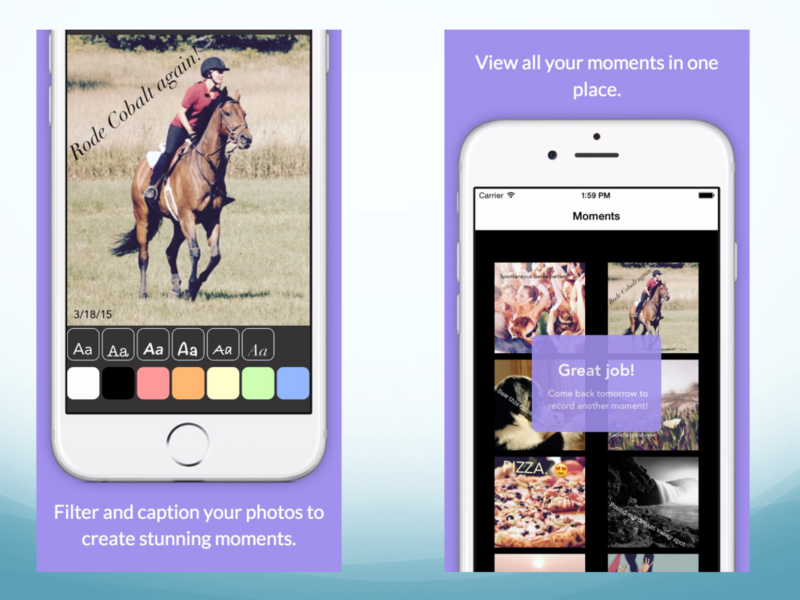 The resultant image, called a “moment,” is stored to the user’s Moments gallery, which presents the user’s previously curated moments in a grid view.